ILiAD Biotechnologies (ILiAD) is a clinical stage biotechnology company focused on the prevention and treatment of disease caused by Bordetella Pertussis. 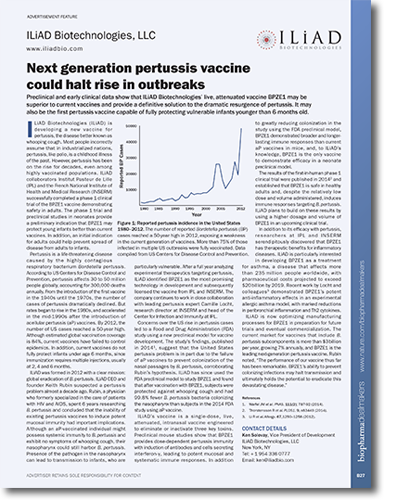 Our lead candidate is BPZE1, a live attenuated pertussis vaccine that is currently in Phase 2 and has successfully completed two Phase 1 human clinical trials. 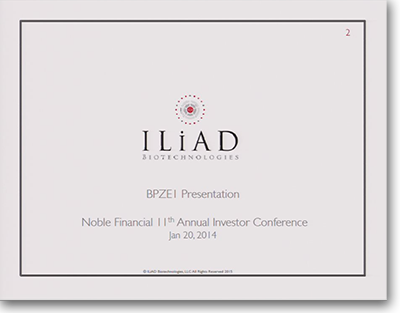 ILiAD Biotechnologies, LLC is a registered Delaware company founded in 2012.